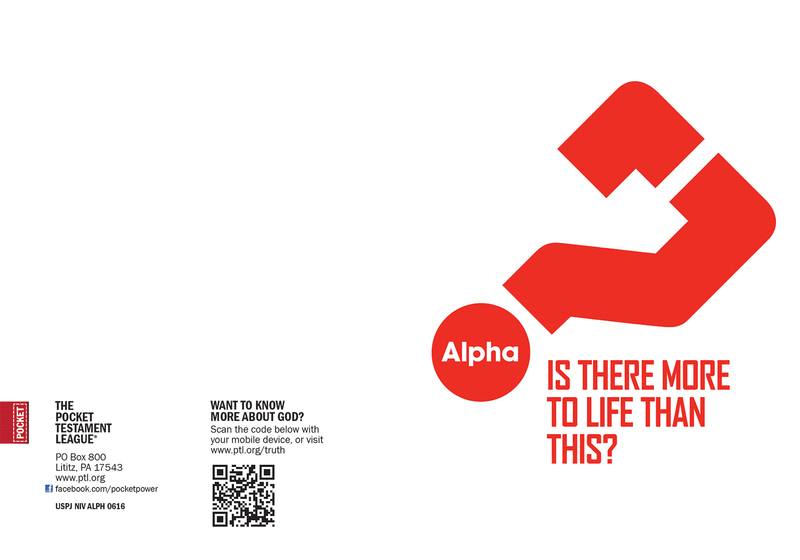 Detalhe do produto para : Alpha - Is there more to life than this? Pray for God to bring people across your path who are wrestling with this very question and then share this Gospel freely with them. Ideal for all ages and demographics, use this cover to share in community outreach, prison outreach, homeless outreach or even campus ministries. Perfect for a broad range of sharing situations! Alpha - Is there more to life than this? Emblazoned with a question that we all ask ourselves at some point, this Gospel invites recipients into a conversation, a journey towards discovering their larger purpose in God's redemptive plan. Created in partnership with Alpha USA, a ministry that provides a safe place for seekers to explore the Christian faith, this Gospel is a great tool for reaching those seeking answers with the hope that Christ gives.